and offers a new dimension to therapy." Modern Mysticism explores the spiritual nature of the unconscious mind, revealing its role in artistic and scientific creativity, paranormal occurrences, visionary dreams, and mystical illumination. It shows how the unconscious—a vast, largely untapped region of the psyche—is unrestricted by laws of causality and connected not only to the physical world but to the transcendent. Approaching religious experience as a natural phenomenon of the mind, Michael Gellert makes it more comprehensible. By cultivating an openness to the unconscious, all of us—not just mystics, saints, and spiritual masters—can have a religious experience. "A psychotherapist writes that rarest of works—a look at the wondrous and mysterious worlds of the unconscious mind, moving from the paranormal to the highest spiritual experience." 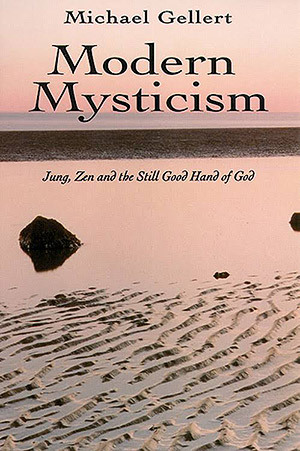 "Modern Mysticism is engaging, profound, and lucid. The author weaves the complex questions of the existence of a higher intelligence, precognitive experiences, discoveries in modern physics, and UFO sightings into a fabric of luminous beauty and utility. The reader will be fascinated by Gellert's original insights into the workings of the human unconscious." "Michael Gellert's book is a revealing portrait of the relationship between the unconscious mind and religious experience. . . . Reading this book is a refreshing experience that should appeal to our need to contemplate the unknown, the unconscious. And so, like the unconscious itself, this book is a manifestation of 'the still good hand of God': It, too, extends an invitation to the magic and mystery within all of us." "In his chapter on his visit to Calcutta, Gellert takes you with him, into the whale's belly and out! An extraordinary experience—not to be wished for and not to be missed!" "An innovative and important approach to psychic phenomena. Challenges the present-day psychological conception of projections in a refreshing and thought-provoking manner." "This thought-provoking book stimulates the imagination and offers a new dimension to therapy." "This book is wonderful, as it is both challenging and comforting. I highly recommend it to anyone who is serious about spirituality." "A treasure chest of testimony from leading writers, artists, scientists, statesmen, athletes and other leading figures—we are invited into a world of fascinating personal encounters with the unconscious. The unconscious mind is seen as a contributor to the creative process, problem-solving, early warning and phenomenal athletic feats." "The central premise of Mr. Gellert's highly readable book is that the unconscious mind is the seat of religious experience and that all people have the capacity for religious experience, not only 'great souls.'" "Gellert shows us that what the psychologists call the unconscious can be viewed as a kind of matrix within each human being by and through which higher powers enter into and guide our lives. What was previously called divine providence is still very much a living reality, if only we can learn to be open and sensitive to it. . . . By drawing upon a number of experiences reported by individuals from all walks of life, Gellert illustrates and illuminates the fascinating manifestations of this deeper level of the mind. Such experiences, coming via dreams, visions, inspiration and coincidence, bring intimations of a power more deeply interfused, a higher intelligence that often guides our destiny. Altogether an illuminating and highly readable book." "The real value of this book is not in Michael Gellert's quiet, lucid prose, nor is it in the thoughtfulness of his interpretation—no, the value lies in the power of the many personal stories herein. They are the undeniable facts of experience with which psychology and religion must deal; they move us and let us know that the Soul is active still."